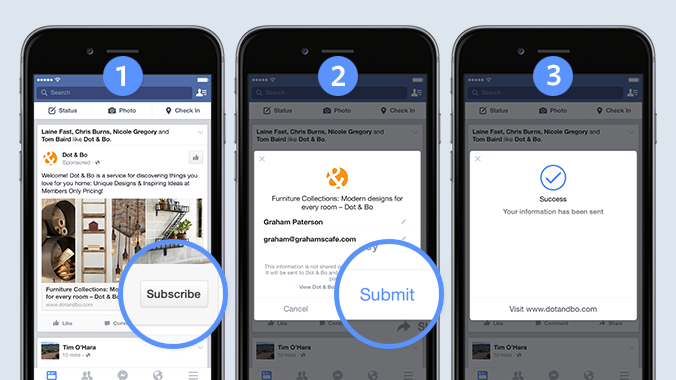 About a week ago, Facebook announced that it was beta testing a new type of ad, one that would allow an audience with one click to submit their email addresses without leaving Facebook. Facebook Lead Ads (ETA unknown) are a brand new ad type featuring a “subscribe” call-to-action. When you click Subscribe, a confirmation dialog appears that informs you of the exact information (e.g. name, email) that you will submit to the advertiser. Once you click “Submit,” you’re done. No forms to fill out. Conversion campaigns (e.g. sign-ups for newsletters, eBooks, free quotes, etc.) are tricky even on a good day. Typically they are set up to drive traffic away from the ad platform and onto a dedicated landing page on the company website. Assuming the landing page is well-designed and the incentive is valuable enough, the visitor will exchange their name and email address for whatever you have to offer. This makes for a lot of moving parts. If a campaign doesn’t produce results, is it the fault of the ad creative, the targeting, the landing page design, the page load time, or the incentive value? What’s more, on social ad platforms like Facebook, this gets more complicated because of the preponderance of mobile traffic. No one likes filling out tiny forms on their phone. Facebook’s new Lead Ads could remove a few of these troubling steps. 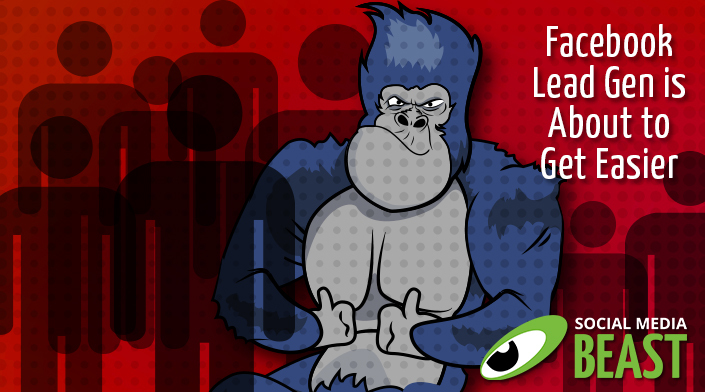 No landing pages, no forms to fill out, and a lot less troubleshooting. Visitors would likely appreciate it as much as advertisers would, because they can more easily use their phones to sign up for the newsletters and eBooks that they want. If there’s a trade-off, it will be the smaller space available to explain your sign-up incentive. The advantage to using a landing page, if you can design it well, is that you have a large amount of real estate to explain what you’re giving away, why it’s valuable, and show all the other people who really liked it. Now, the explanation will have to take place in the space of a Facebook ad (with rather harsh character limits). “By not sending users to a publisher’s website, they aren’t interacting with other content while they’re there. And this also doesn’t allow advertisers to add them to important Website Custom Audiences. We will be watching carefully, and will let you know as soon as they become available. For more information on Facebook advertising, or to ask about social ads for your business, please contact us.